This goes back to last summer. Christian Lenz owns and runs a specialist plant nursery in Niederheimbach (AHSAAJ from Mainz) overlooking the Rhine. He specialises in landscaping, so he’s rarely open, but he does have an open day on 1 May plus special events. This was a special event. He reckoned that he needed a bell tower in his nursery, so he built that. But what’s a bell tower without a bell? 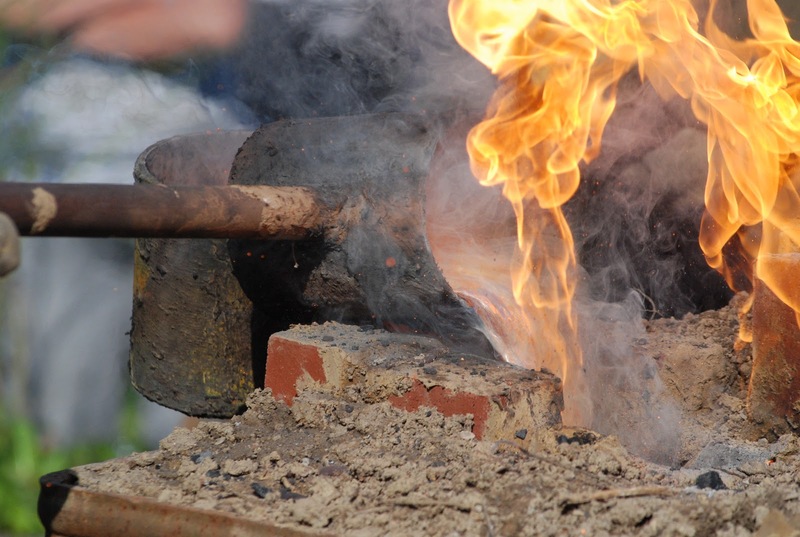 So he engaged a bell-founder from a local monastery who duly turned up with his team, set up the form, heated the bell metal to the required 870ºC and poured it into the mould. Local church choir sang, all of the bells of any church within earshot pealed and a good time was had by all. Best to stand back, though. 26 Jan	This entry was published on 26 January, 2011 at 12:00. It’s filed under Mainz and tagged Christian Lenz, Niederheimbach, NQM. Bookmark the permalink. Follow any comments here with the RSS feed for this post. >Great pictures and interesting story. The closest I ever came to this was reciting Schiller's Lied von der Glocke ("Fest gemauert in der Erden Steht die Form, aus Lehm gebrannt. ")I am always fascinated by the Mt Eden shot tower, now there is a living connection to it. >Excellent shots JB. I'm still scratching my head over how he thought up a bell tower for a landscape business! Well I'm sure it's a humdinger. Would like to see it. >Great story, jb. 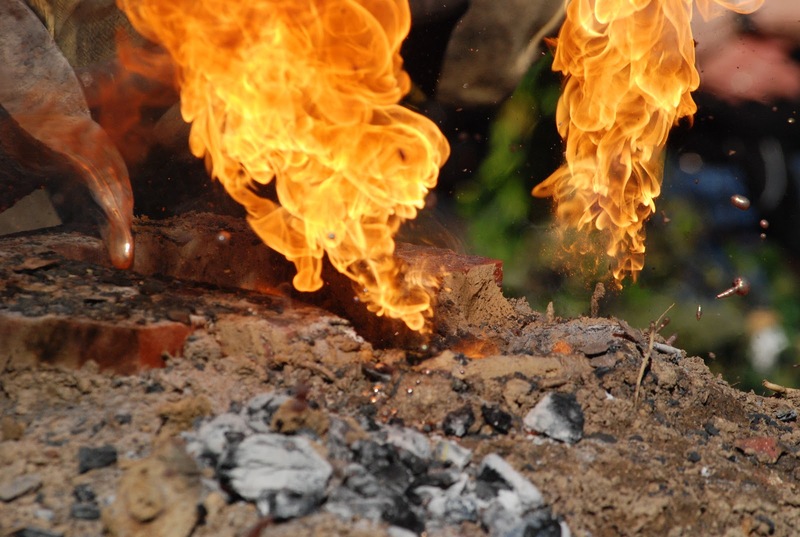 You photographed the flames beautifully; they are so vivid and true! !